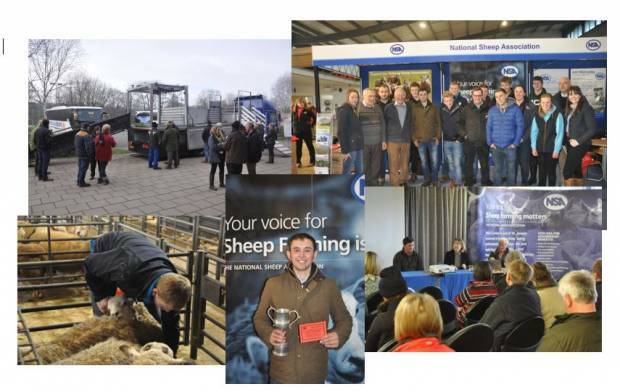 A combination of impressive seminar line ups, interactive workshops and an inspiring number of competitive young shepherds drew sheep farmers from across the Peak District and beyond to National Sheep Association’s (NSA) ‘Central Region Early Gathering’ at Bakewell Market, Derbyshire on Thursday. This biennial event, the first in NSA’s 2019 calendar, is timed to allow sheep farmers from across NSA’s Central Region of England to catch up with friends and neighbours before the busy lambing season begins, whilst hearing from industry experts, including leading sheep vet Fiona Lovatt and recently awarded recipient of this year’s NSA George Hedley Memorial Award for contribution to the sheep industry Lesley Stubbings. The event also provided opportunity to meet with a range of exhibitors to view the latest in sheep innovations and products. Following this year’s event theme of ‘Vital information for an uncertain future’ seminars discussed antibiotic resistance and the future market for sheepmeat before concluding with an update on the latest Brexit proceedings from NSA Chief Executive Phil Stocker and Defra Livestock Advisor Jonathan Gill, drawing the largest audience of the day. An especially encouraging feature of this year’s event was the number of young shepherds attending to compete in the two young shepherds’ competitions taking place. In total 42 young sheep enthusiasts took part in tasks such as lamb selection and medicine administration in either the DART training junior shepherd competition or the NSA Next Generation Shepherds competition kindly sponsored by the Texel Sheep Society. Taking the junior title was a team from Queen Elizabeth School, Ashbourne with the NSA Next Generation title awarded to Jack Charleton from Chatsworth Estate farm. Also picking up an award, this time for the best trade stand was Shearwell Data Ltd, followed by Baavet woollen duvets and Farmers Fresh collecting the second and third place titles.